I must say, it is not an easy task to complete such necklace, but it's worth every minute till finished! I take each twig, mold it in my hands, as no twigs are the same, place them one near the other and start the assembly....and this is the result! 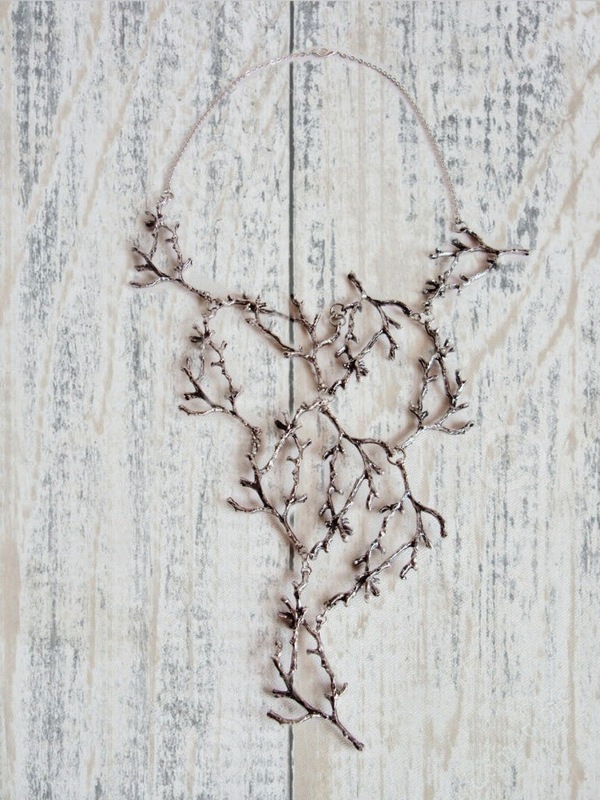 The perfect necklace for nature lovers, a cascading, twisted twig necklace. I called this necklace " The Eye of The Wise Sea". The reason for this is because the color of the stunning Swarovski teardrop crystal has a changing shade from light blue turquoise, to soft green, golden and blue. Just like the ocean colors.Available in my Etsy Shop. I do not why, but me and Swarovski have chosen to get "citrucy" this summer, so orange is the chosen color for this summer. 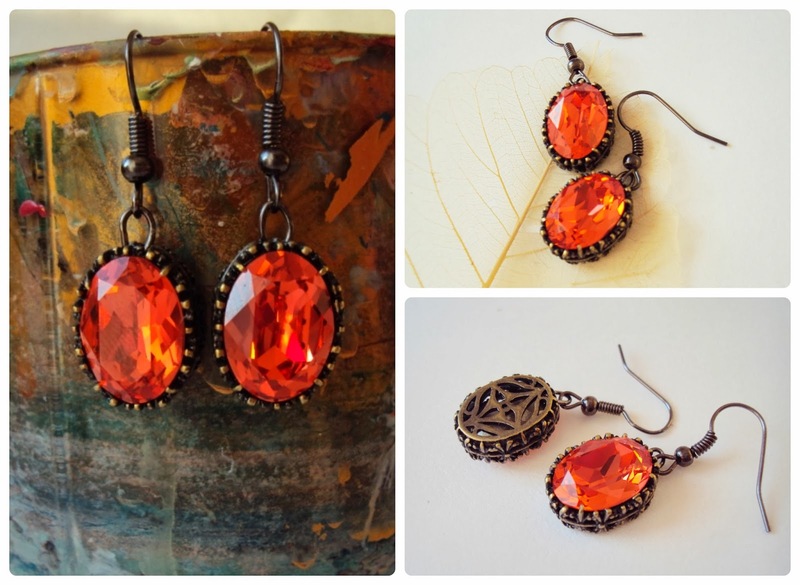 Simple, coated, shinny, with reflections, ORANGE has wonderful shades and facets. ♥ Available in My Etsy Shop. 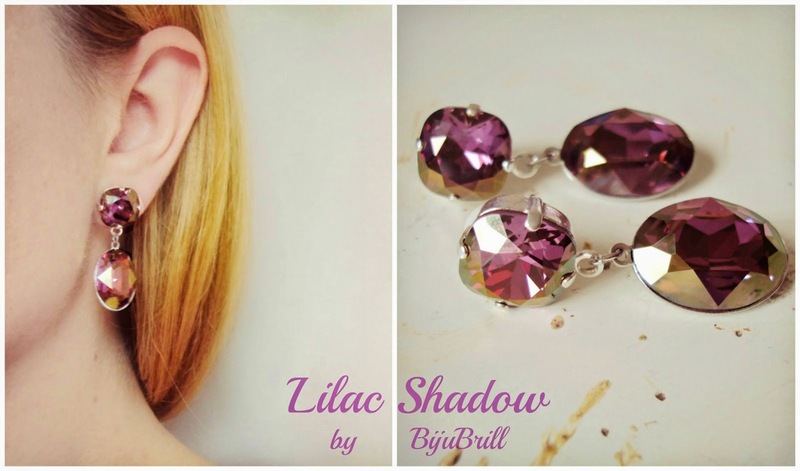 Crystal lilac shadow has warm purple hues, with deep golden sparkles. 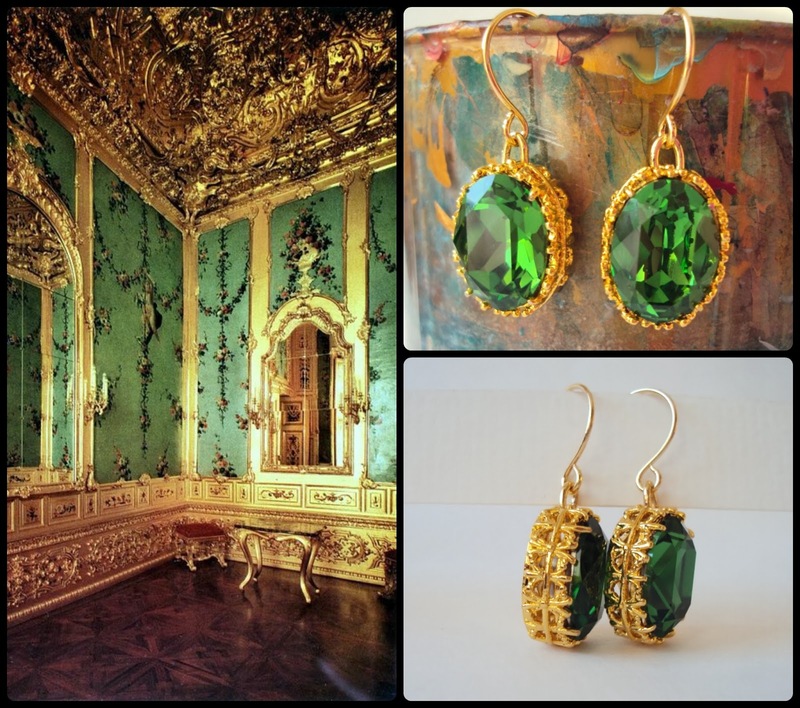 This pair of earrings is made with 12 mm Swarovski squares and large 18 mm oval drops. 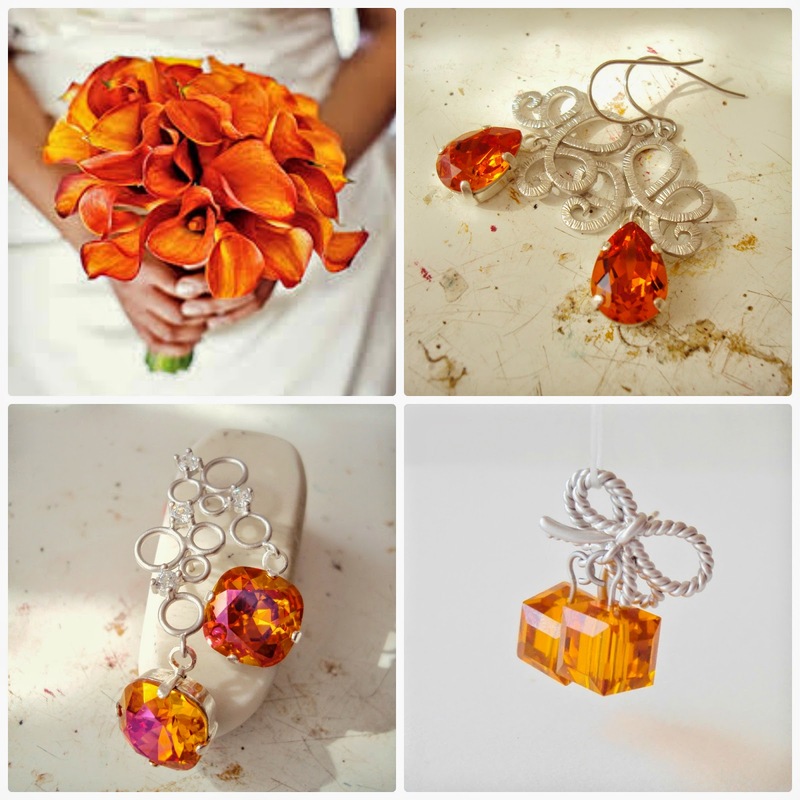 Really eye catching and can be the perfect bridal jewelry ! Having the same elegant feel to them, this stunning color combination is all it takes for a sophisticated look. Antique brass and a soft pink-orange hue of the crystals, with detailed cabochon setting, for a royal look! This pair is sold! Made to order.